Kindergarten and Preschool Curriculum Made Easy! 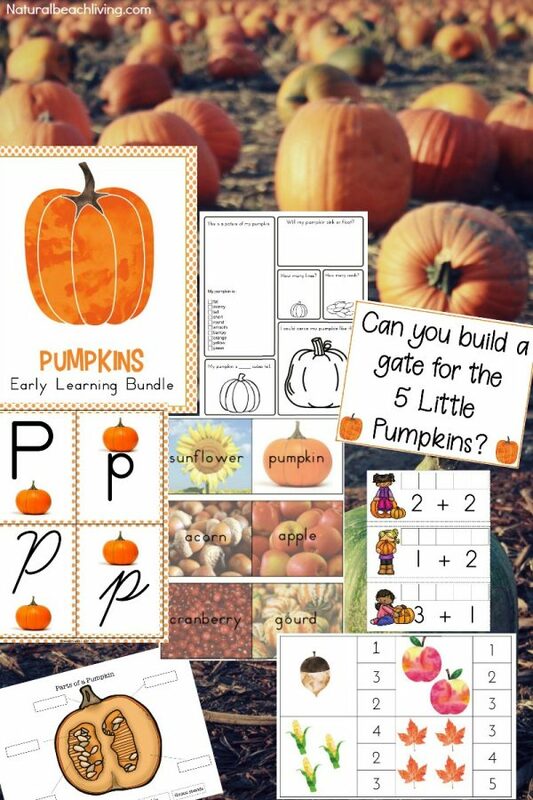 This Pumpkin/Letter Pp Unit has everything you need for a week packed full of Pumpkin activities and learning. The Kindergarten – Preschool weekly plans are designed with a 3-6 year old child in mind. Every activity can be used at home with one or more children or adapted for use in a classroom. These Units are about exploring and learning while exposing children to a variety of skills and concepts. See all books and activities for the week on one convenient page. Plus, daily pages written out with explanations, Every week includes 5 books, Language/Phonics, Science/STEM, Art, Fine motor activities, Gross motor activities, Math, Practical Life, Sensory, and snacks along with a few other activities you may want to try! Prepping for the week is super easy with this laid out plan. Learning activity pages include everything you need to know to complete the activities for the week. I’ve also included pictures and recipes for a variety of activities and snacks. Printable activities and materials to make weekly prep a breeze! Lots of printable options to save you from purchasing additional hands-on materials that you may not have available.